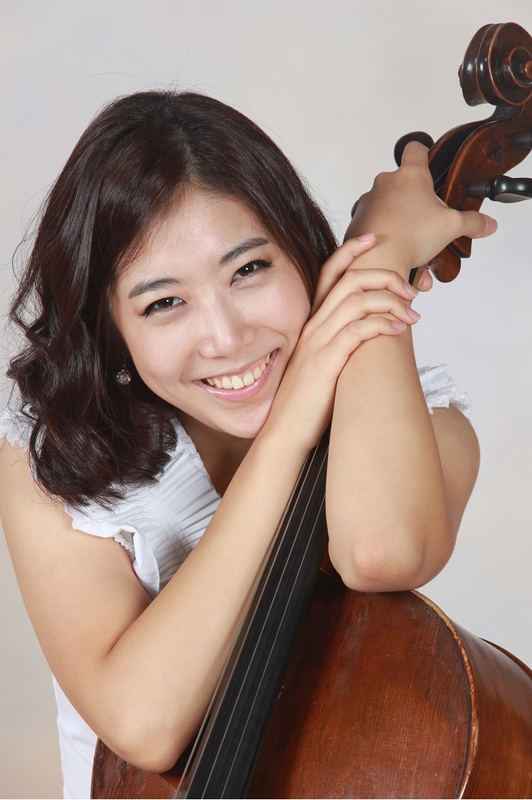 KCS is pleased to announce that Cellist Jeonghyoun Christine Lee, 21, has been chosen as the alternate for the 2013 Kennedy Center Debut Recital. If primary Han Bin Yoon cannot perform, she will take his place at the KCS recital on October 20, 2013 in the Kennedy Center Terrace Theater. Lee is a native of Seoul, Korea. She was accepted to The Curtis Institute of Music as one of the youngest students on record, at the age of ten. As a soloist, she has appeared with Philadelphia Orchestra, Seoul Philharmonic, Korean Broadcast Symphony Orchestra, and Calgary Symphony Orchestra, among others. As an orchestral musician, she has worked with world renowned conductors, including Christoph Eschenbach, Michael Tilson Thomas, Simone Rattle, Alan Gilbert, and Yannick Nézet-Séguin. She also served as the co-principal of the 2010-11 Curtis Symphony Orchestra, whose season included performances at the Kimmel Center and Carnegie Hall. An avid chamber musician, Ms.Lee has collaborated with many distinguished artists, and some of her highlights include concerts with Ida Kavafian, Kim Kashkashian, Roberto Diaz, Pamela Frank, Gary Graffman, Frans helmerson, members of Orion and Guarneri String Quartets. Moreover, Ms.Lee has toured in Europe and Asia with “Curtis on Tour.” She was recently featured as a Young Artist at Music from Angelfire and Caramoor Rising Star at the Caramoor Center for Music and the Performing Arts. Additionally, she has attended summer festivals such as the Taos School of Music, ENCORE, Great Mountains Music Festival, Orford, and Hotchkiss Summer Portals. Most recently, she participated in the IMS Prussia Cove with Ralph Kirshbaum. Lee is passionate about delivering classical music to young students, making it more accessible, through outreach presentations. Miss Lee is currently pursuing Bachelor of Music degree with Carter Brey and Peter Wiley as the recipient of Lurie Fellowship and will continue her studies at the Juilliard School with Joel Krosnick.